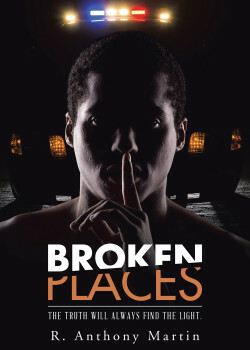 Broken Places by R. Anthony Martin is the story of three young men embarking on a new life at Pittsburgh City University, each with their own secrets and dreams and ultimately inextricably entwined complications that give rise to an intense series of events. The three main characters of this book are freshmen at Pittsburgh City University. Shawn is a very talented, up and coming basketball star. Robert has a troubled mind, tormented by his hidden past. The third, Jamal is a brilliant scholar, there on an academic scholarship, focused and determined to fulfil his dreams of opening a community development centre in Newark, New Jersey, helping and improving the community in which he grew up. I have nothing but praise for this very interesting and totally absorbing award winning book which through a very interesting plot follows the lives of these three young men, and openly focuses on what can sometimes be very tricky current social issues. I just loved the way that, through the author, I felt that I had a real insight into their very different lives, watching like a fly on the wall and feeling for them as they struggled with family issues, decision making, responsibilities, and some of the terrible problems which face us throughout life. The story really helped me understand the thoughts and actions people make on issues I would never normally have an awareness of, and also some of the terrible prejudices which I thought were buried deep in the past. As these three young men’s seemingly very different lives and goals become intricately entwined through the pages of this book, we witness some horrific events, very traumatic incidents and hearts laid bare, the pain inside exposed for all to see.